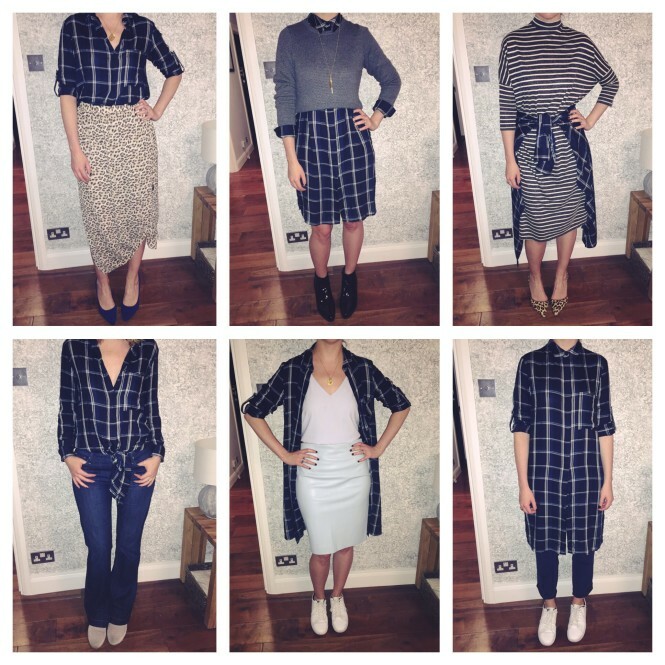 ‘Borrowing’ (in the permanent sense) clothes from my dad. Mostly because he has some cool vintage stuff from the ’70s. But partly because it really annoys him. Especially when I sneak into his room to steal his white athletic socks. This was a daily activity when I was in high school – but now I challenge myself to nab a pair or two whenever I visit. When she showed me the tartan treat I was attracted to its laughably boxy shape and the label that read: True Grit Americana. We debated for a good 45 seconds over exactly how old it was – and whether it originally belonged to mom or dad. 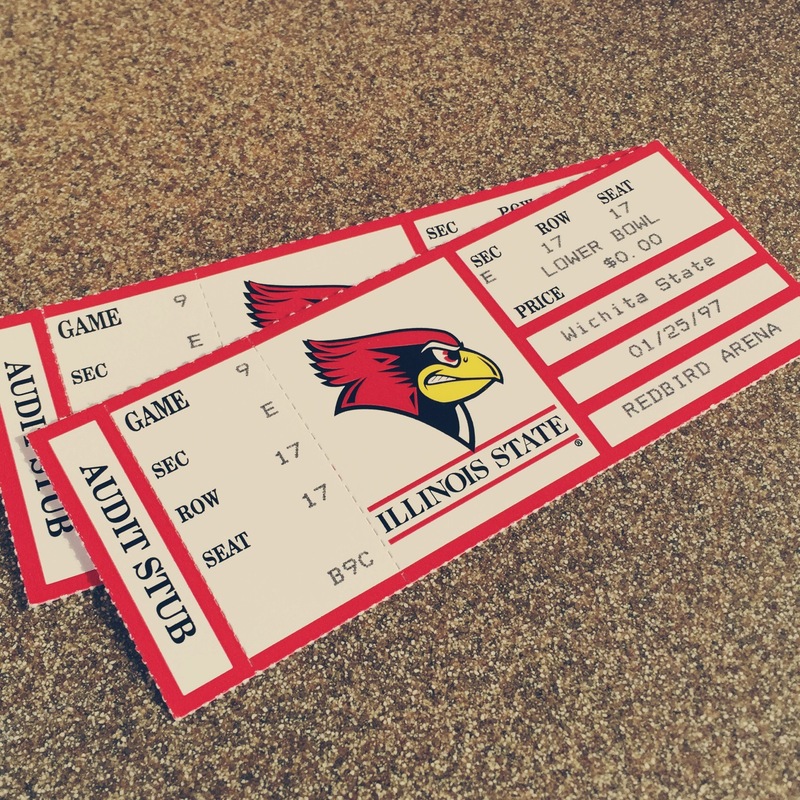 The first conundrum was solved hours later (after I had created an outfit featuring said vest and hit downtown Indianapolis for an afternoon of wine) when I found a priceless relic in the pocket: two tickets to a Illinois State football game. Dated January 1997. 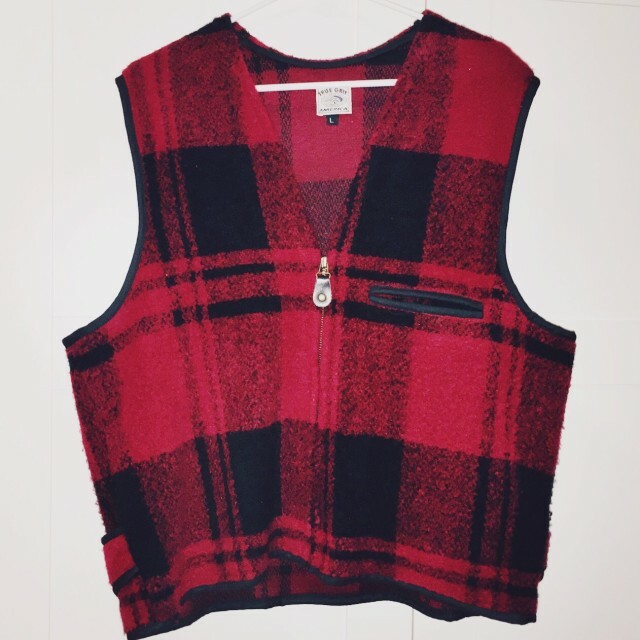 When we got back to my parents’ house my mom immediately said, “Is that your dad’s vest? ?” Second question answered. I imagined my dad (who is actually very cool and stylish, despite how this may make him sound) rocking that baby with a mock turtle neck and tapered dad jeans nearly 20 years ago. Which, come to think of it, would actually be a pretty cool way for me to wear it now. In fact, I could pair it with this tissue-thin polo neck from Zara and these Moto Mid-Blue Topshop jeans I’ve been eyeing. Sure, in the Midwest people would probably think it was a Halloween costume. (What are you? 90s Dad at a College Football Game??!) But in London I’m pretty sure it would be awesome. However, during our trip I was limited to the items I had brought with me for pairing – so I matched it with my favourite black culottes from & Other Stories, my Moss Copenhagen tank and my trusty Nike trainers.